Sheikh Jackson won two awards at the 44th Egyptian Cinema Film Association Festival which took place between 27 January and 3 February. 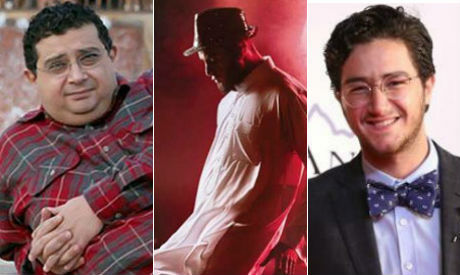 “Actor Maged El Kedwany won the Best Actor award for his role in the Sheikh ackson film, besides the same award for his role in The Originals film, while young star Ahmed Malek won the Best Supporting Actor award for his role in Sheikh Jackson,” announced the marketing and film distribution company MAD Solution in its official press release. 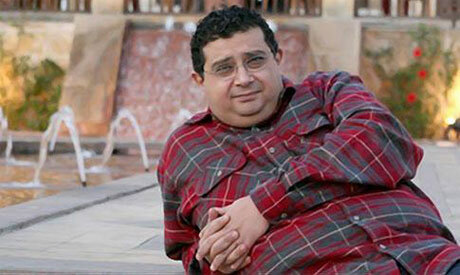 A multi award-winning actor, El-Kedwany was born in Cairo’s Shoubra district. He spent his childhood in Kuwait and returned to Cairo after completing secondary school, joining the Faculty of Fine Arts. He graduated with a bachelor’s in design and then pursued a degree in acting from the Higher Institute of Theatrical Arts, which he completed in 1995. Before graduating he was already joining in small amateur plays. The turning point in his life came when actor and director Karam Metwaea nominated him for a role in the play titled 727, and afterwards in the television series Arabesque. Kedwany’s professional acting career began in 1996 with the plays El-Eskafy Malek (The Shoemaker is King), and Afarit Al-Asphalt (Asphalt Ghosts), which spotlighted his talent and brought him roles in several television series such as Nahnu La Nazraa Al-Shawk (We Don’t Grow Thorns) and Abyad We Eswed Tany (Black and White Again) as well as films including Ganet El-Shayatin (Devils Paradise) and Kawkab El-Sharq (Star of the East). Another turning point came in 2001 when he garnered popular recognition through roles in comedy films, including Haramiya Fe KG2 (KG2 Thieves), El-Ragol El-Abyad El-Motawaset (Average White Man), and Askar Fel Moaskar (Camping in the Camp). Although he took on supporting roles, El-Kedwany was memorable in many successful films, such as Cabaret, Teer Enta (Go Fly), El-Farah (The Wedding) as well as the more serious film 678 that tackled sexual harassment. His role in 678 earned him a jury award from the 47th Chicago Film Festival and a Muhr Award for best actor from the Dubai International Film Festival. El-Kedwany’s role in the film Asmaa earned him the award for best actor from the Abu Dhabi Film Festival. 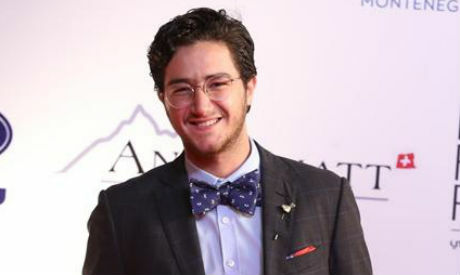 Egypt’s emerging TV and cinema actor Ahmed Malek is best known for his role as the young Hassan El-Banna in the series The Brotherhood, as well as Ahmed in the series With Premeditation, and teenage womaniser Adham in the TV series Hayat’s Tale, for which he received recognition among Middle Eastern audiences. In 2013, he won a DG Award for ‘Best Young Actor’ for his performance as Ahmed in With Premeditation. Following his success with the role, he was cast in El-Gezira 2 as Ali Mansour Elhefny. Malek’s role in Sheikh Jackson where he portrays a young man fascinated by the American pop star, has shed a lot of light on the young talent. The Berlin International Film Festival announced Malek among this year’s Berlinale Talents, a networking opportunity that will take place 17-22 February. In addition to participating in the Berlinale Talents programme, Screen International recently selected Malek among five promising Arab stars and filmmakers in the Arab Stars of Tomorrow programme, part of the activities of the 14th Dubai International Film Festival (DIFF). The board of the Shnit Worldwide Short Film Festival also selected Malek as a jury member of the Realtime competition. Written and directed by Amr Salama, and co-written by Omar Khaled, the film Sheikh Jackson is set on the day of Michael Jackson’s death in 2009, and centres on a sheikh who was dubbed “Jackson” by his friends during his schooldays. The story goes on to explore the emotions stirred by the popstar’s death, sparking a series of existential questions within the sheikh. The film stars Ahmad Al Fishawy, Maged El Kedwany, Ahmed Malek, along with guest stars Amina Khalil, Dorra, Basma and Mahmoud El Bezawy. Sheikh Jackson is produced by The Producers, Film Clinic and iProductions. “The German company Media Luna is responsible for distributing the film outside the Arab world, while Cleopatra Entertainment acquired the film’s screening rights in North America planning to release it in theaters in the first quarter of 2018. MAD Solutions is handling the Sheikh Jackson’s marketing and designed its poster that is used regionally and internationally,” MAD Solutions company adds. Sheikh Jackson landed its world premiere at the 42nd Toronto International Film Festival within the Special Presentations programme. The film made its Arab world premiere by opening the first edition of El Gouna Film Festival, where it competed in the festival’s Feature Narrative Competition, and its European premiere was at the 61st BFI London Film Festival. Sheikh Jackson also screened at the Carthage Film Festival (JCC), Cairo International Film Festival (CIFF), within the New Egyptian Cinema 2016-2017 section, and the Arab Cinema Week in New York. The Egyptian Cinema Syndicate selected Sheikh Jackson to be Egypt’s official submission to the Academy Awards for Best Foreign-Language Film. The film was released in theaters in more than seven Arab countries.